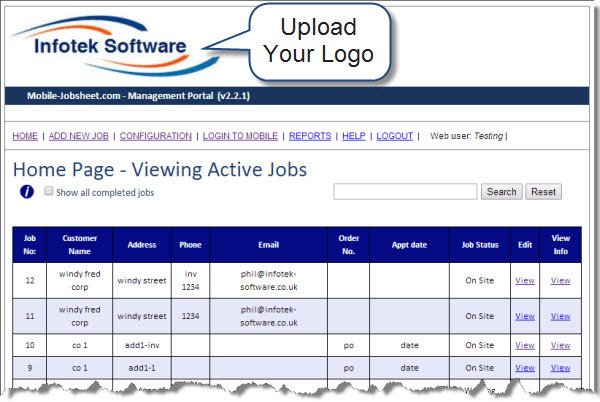 The MANAGEMENT log-in: Here you configure the system settings and track jobs in progress. Fully cloud based system. No installation required. Free updates and email / phone advice. 24/7 access. Viewable from most devices with an internet connection.